Driade produces Toy since 1999. Philippe Starck designed Toy as a vividly coloured and stackable (max. 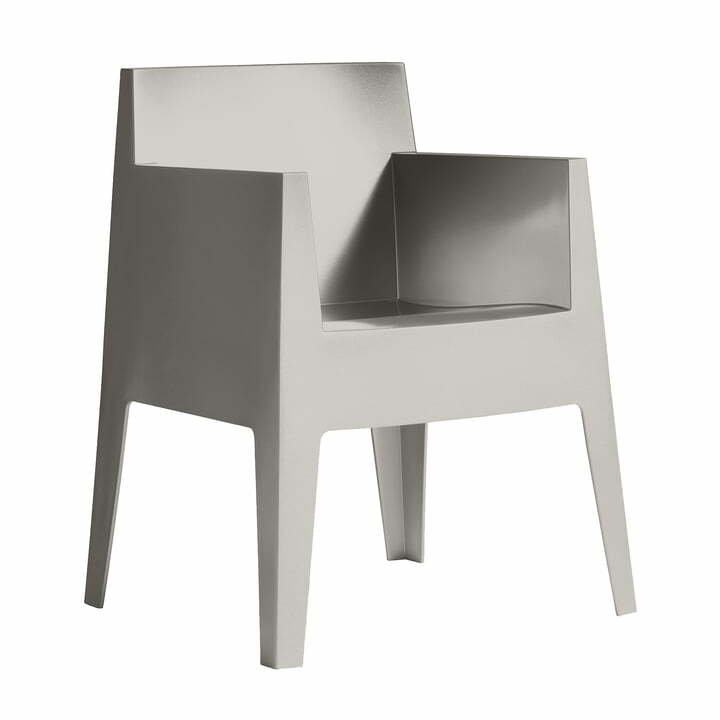 14 chairs) armchair that is equally suited to indoor and outdoor use thanks to its plastic material. Toy consists of a polypropylene mono block and it is available in eight different colours. Additionally, removable covers are available. These are made of 100% cotton and possess an integrated, removable seat cushion. Also a self-extinguishing version in a grey GFR colour is available. The covers are also available in yellow, blue and green-grey beside the standard white. 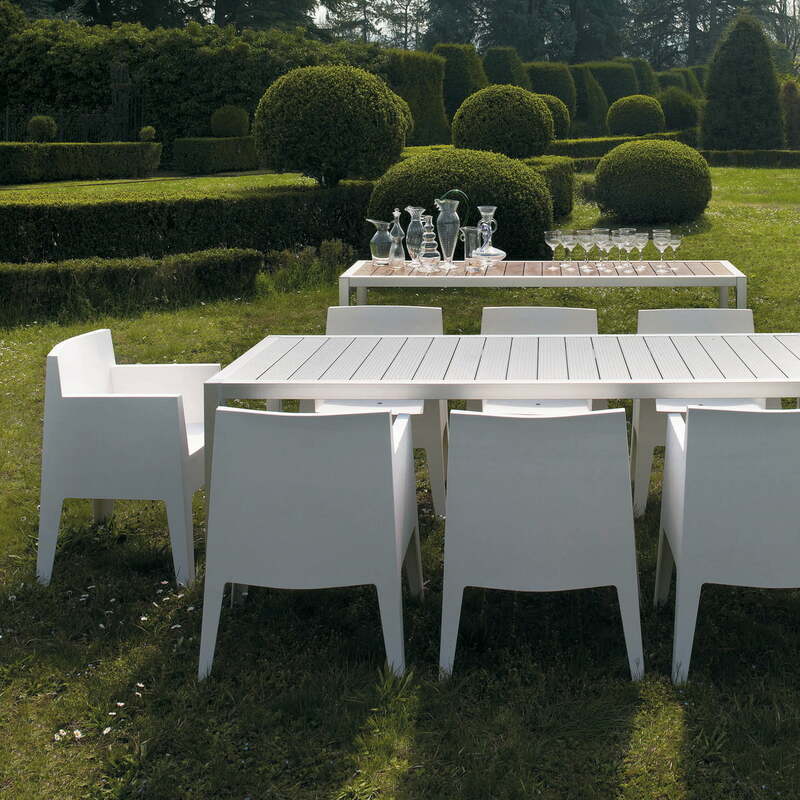 The resistant und weatherproof Toy Armchair by Driade looks best outside in your garden. Its most striking feature are its design and clear lines that are captivating.